Pen and Paper: (JOCASTA HUGHES MYSTERIES: BOOKS 1 & 2): DEAD PRETTY & BODY HEAT. (JOCASTA HUGHES MYSTERIES: BOOKS 1 & 2): DEAD PRETTY & BODY HEAT. 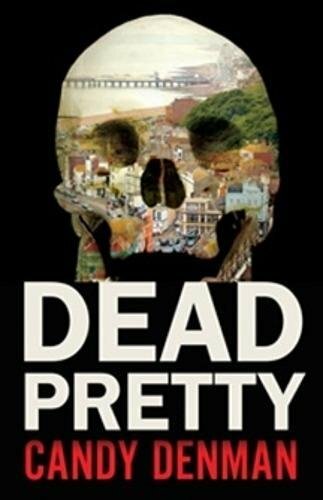 Dr. Jocasta Hughes, thirty-two years old, a willowy blonde with a wicked sense of humour and an unsatisfactory love life, works part-time as a GP in Hastings, a small English fishing town, and is on call as a Forensic Medical Practioner for the local police. When it becomes clear that there is a vicious serial killer on the loose, Jo finds herself increasingly at risk. She lies there, on the dishevelled bed, mocking him. She was to become the latest victim, strangled with a urinary catheter wielded by a necrophiliac mortuary attendant. What a way to go. He was driving carefully, making sure he didn't attract attention, although he hardly saw another car once he had left the town. The forensic tent glowed eerily in the half-light, but the blue-clad figures seemed slightly faded as they searched the immediate area around the tent now that dawn was beginning to break. SOURCE ... I was honoured to have received both copies from the author, CANDY DENMAN. MY THOUGHTS ... Well! What a great start to what promises to be a fascinating and, I'm guessing, long running, series. 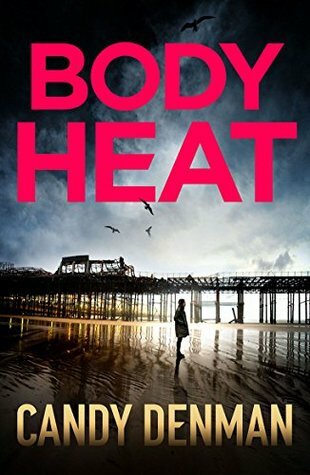 Having now read both of the first books, I can safely say that, as with most books of this genre, both Dead Pretty and, its sequel, Body Heat, CAN be read as stand-alone novels as each deals with its own separate case. However, to get the best out of them, I'd strongly suggest you begin at the beginning as both stories are much more than a crime novel. Jo's relationship with her family (her mother and father make for great secondary characters; outside of the murders it is her rapport with them that most interested me) and the author's social commentary (much of it about the state of the health service) making for great sub-plots. It's the will-they-won't-they relationship between Jo and DI Miller that I could well do without but then that's me. As for the characters? Hmm! A fan of good, feisty female characters. Whilst without a doubt Jo is not without courage (some if it ill-advised but nevertheless courageous), its just I'm afraid I once again found myself disappointed that so much more was made of her and her fellow female characters physical (or lack of them) attributes than there were the male characters. A small gripe in what were otherwise hugely compelling reads that kept me gripped from beginning to end. Greetings Tracy. Sounds like both books you read of the series interested you to read on until the end. I'm not doing much reading at the moment (except posts from other blogs) as I'm writing two novels. Blessings. Love love, Andrew. This sounds like a really good series and I love the cover on the first installment. (I seem to have a thing for skulls) Of course I had to scroll over the part you had hidden - that sentence just begged to be completed! Glad you enjoyed it and I'll keep it in mind myself. Oh yeah, these do sound good. Glad they can read standalone, but good to know its best to read in order. Oh this series sounds right up my alley. Adding both to my list! Oh yeah. These are right up my alley and I love the covers.